We love how Akko looks in the exhibit, and we appreciate how everyone is drawn to the design, even people who don’t know a thing about typefaces. -- Emily Marsh, senior graphic designer at the Museum of Science. The Akko™ typeface from Monotype is the main brand identity font for the “Hall of Human Life,” the new permanent exhibit at the Museum of Science, Boston that opened Saturday. 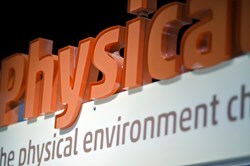 In addition to Akko’s appearance on screen and in print throughout the 10,000 square-foot space, the typeface is used in 3D signage as part of several exhibit stations, crafted to draw visitors into various interactive settings to fuel discovery and curiosity about what it’s like to be human. 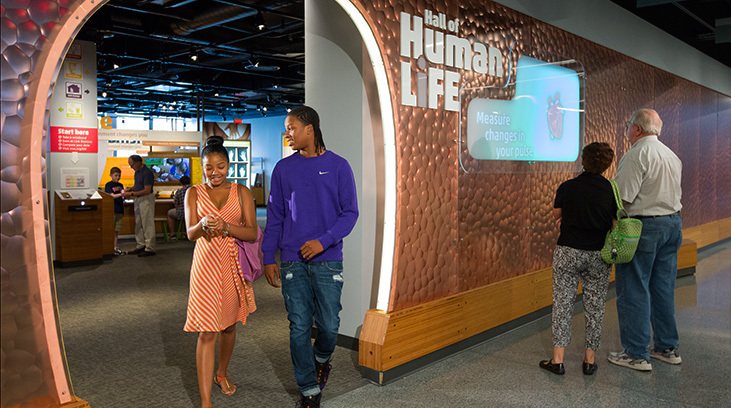 Visitors are able to engage with more than 70 interactive exhibit elements to explore how the human body works, and how factors such as environmental circumstances, personal choices, physical attributes, diet, age and living conditions can impact daily life. As visitors journey through the exhibit, they may also take part in gathering and reporting anonymous data in an unending process of learning and discovery – all with the exhibit elements presented in a branded capacity using Akko. To learn more about how the Museum of Science chose Akko, please read the Type Case blog post, "Beyond Words: Museum Exhibit Reaches Visitors Through Type." Monotype, Helvetica and Frutiger are trademarks of Monotype Imaging Inc. registered in the U.S. Patent and Trademark Office and may be registered in certain jurisdictions. Akko is a trademark of Monotype Imaging Inc. Univers is a trademark of Monotype GmbH registered in the U.S. Patent and Trademark Office and may be registered in certain jurisdictions. All other trademarks are the property of their respective owners. ©2013 Monotype Imaging Holdings Inc. All rights reserved.